Feather & Stitch epitomises the kind of investment dressing that I am trying my hardest to do more of recently. I've bought considerably less over recent months and have been saving a little each week to buy just one quality item each month. 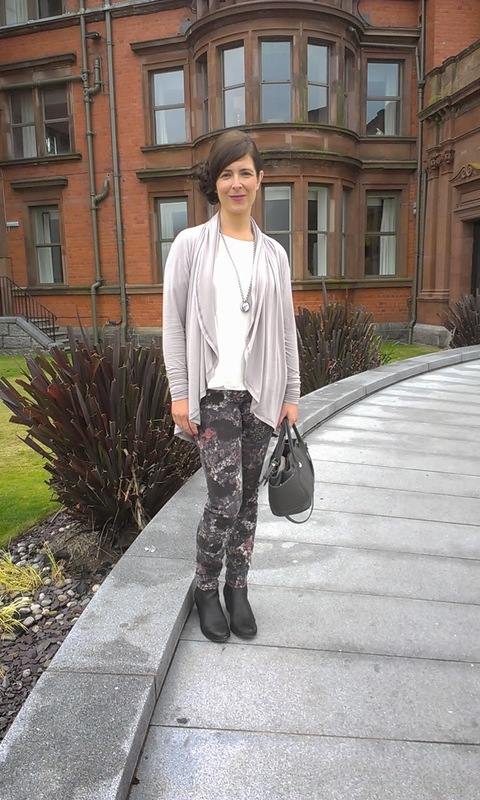 It's not been easy for a mum with a small clothing budget...but I'm trying! and here they are on me - I wore them to the hotel for Friday's wedding - hence the fancy hair! The colour's quite difficult to pinpoint. There is black but it's not a really black black so I know they will work with brown boots too. There's grey also - which pleases me plenty, given all the grey in my wardrobe and there are plenty of other muted mauves, blues and coral/pinks in the pattern as well as cream - hence my choice of top and jersey cardigan. And they were so good - I wore them the next day too, en route home. How's that for capsule packing! But there was time for a beach walk before we headed back to Belfast.. 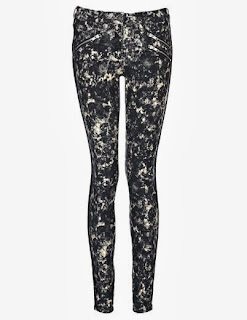 Patterned jeans and muted/camo prints are huge this season so I think these jeans are a nod to both trends. A muted pattern is much easier to carry off - and the colours are perfect for this time of year. 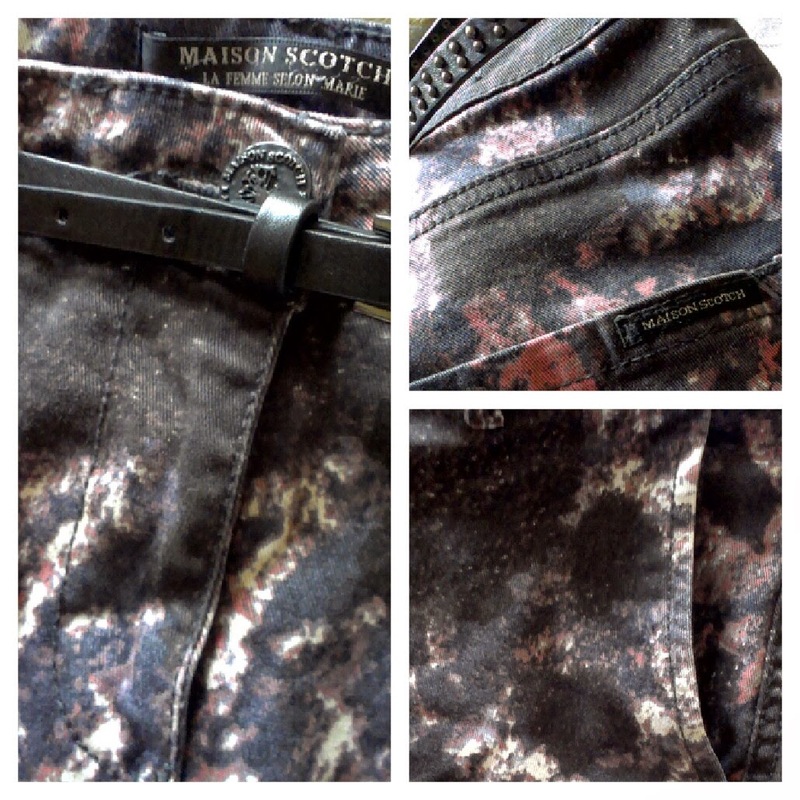 I'm going to style them for a night out next week though, to show you how versatile they can me - watch this space! 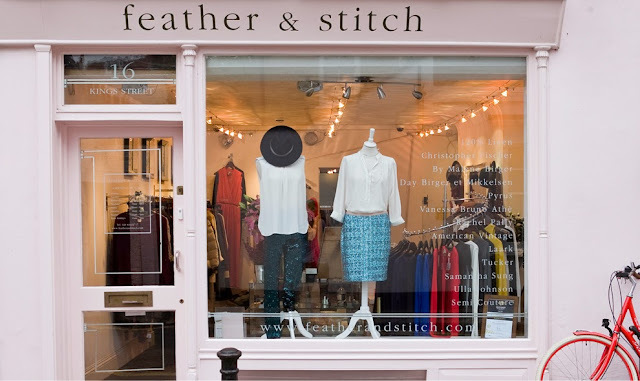 In the meantime, why not pop over to Feather & Stitch for stylish clothing from brands like American Vintage, Pyrus and Des Petits Hauts, or show them some Facebook and Twitter love? For all School Gate Style readers, there's currently 10% off all lines (excluding jewellery) if you use SGS10 at the checkout. Here are my picks of their current range.. 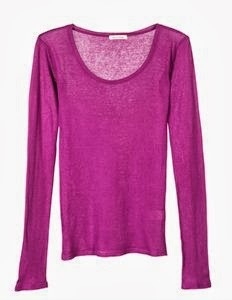 I've heard so many people rave about these tops - adore this colour too! 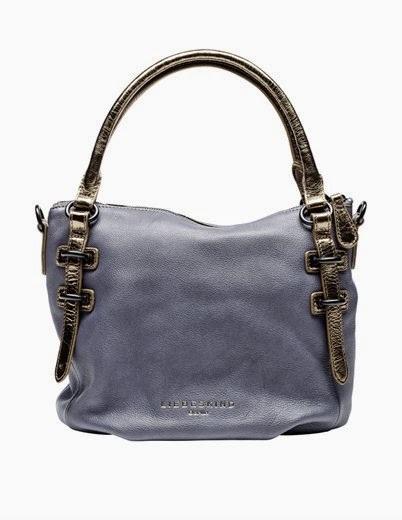 finally, this bag is the most fabulous neutral shade - would match everything! I hope you enjoy looking through the Feather & Stitch website and if you live near Richmond, Surrey, why not call into the shop on 16 King Street? Back tomorrow (time permitting) with a sneaky peek at the Boden stock that arrives with me in the afternoon. I'll try my best to get a quick try on of a few pieces and pop the pictures up ahead of Thursday! Great jeans and fab print for A/W. 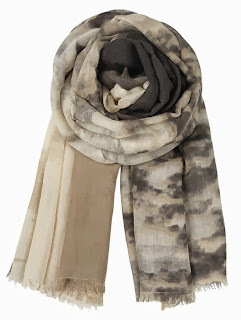 Yes - wouldn't they look amazing with a denim shirt? Must try that too...and must dig out the wedge trainers to wear with them too! Thanks for the tip, I've bookmarked the website. Looks like they stock brands between designer and high street and there are not too many websites that do that. Will be popping over to the shop to have a look. 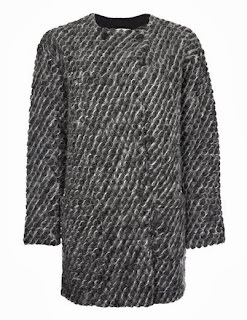 I have a personal fondness for Maison Scotch items - the finish is spot on on their clothing. I have a couple of pairs of their chinos - couldn't resist them. Still well jell over your jeans.